In October, Sony will use Venom to launch a shared universe featuring Spider-Man spinoff characters. While the current Spider-Man, played by Tom Holland, is part of the MCU, Sony still has the rights to about 900 other comic book characters – including the wall-crawler’s entire rogues’ gallery. What the studio calls “Sony’s Universe of Marvel Characters” is very different from the MCU. Unlike Marvel Studios, Sony doesn’t have a single visionary in charge of the overall franchise direction. Each film is treated as a separate entity, with individual producers as the driving force for each film. That has led to an unusual slate featuring second- and even third-tier characters no one ever thought would hit the big screen. Don’t read that as disapproval, however. What Sony is doing is pretty cool, and has a lot of potential. Here are the films believed to be in various stages of development as part of Sony’s Spider-Man spinoff series. 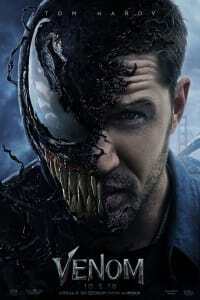 First up, of course, is Venom, opening October 5. 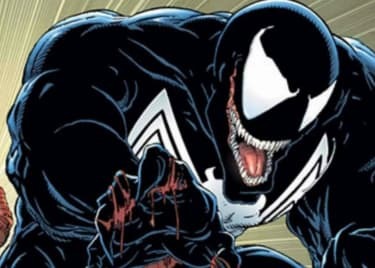 Inspired by the popular comic book miniseries Venom: Lethal Protector, the film tells the origin of the slavering symbiote, albeit without Spider-Man. Tom Hardy stars as investigative journalist Eddie Brock, who learns of sinister actions at the Life Foundation. Next thing you know, Brock is bonded with an alien symbiote and struggles to stop his new “friend” from going on a murderous killing spree. Meanwhile, the Life Foundation wants its property back. The first trailer got more views than any other Spider-Man film trailer to date, including even Spider-Man: Homecoming. If Venom‘s box office follows suit, that could be the defining moment for Sony’s big Spidey spinoff concept. Next up is Morbius, reportedly due to start filming in November this year. This movie will be directed by Daniel Espinosa (Life, Safe House), and will star none other than Jared Leto as Morbius, The Living Vampire. In the comics, Michael Morbius was a scientist whose attempt to cure a dangerous blood disorder that went terrifyingly wrong. His experiments transformed him into a creature of the night: a vampire with a burning desire for human blood. So far, casting rumors have suggested a comic-book-accurate origin story. Sony is reportedly looking to cast characters like Emil Nikos, Morbius’s first victim in the comics, along with his ex-wife Martine Bancroft. After Venom and Morbius, the development of a Kraven the Hunter appears to be next in line. Sony just hired writer Richard Wenk (The Equalizer) for the project, but no casting or choice of director has been announced. In the comics, Kraven is a fearsome hunter who seeks the ultimate challenge, and so decides to hunt a superhuman. He’s best-known for the ‘Kraven’s Last Hunt’ storyline, written by J.M. DeMatteis. Sony would have to heavily adapt that tale, however, to use it in the movie, as it focuses entirely on the relationship between Kraven and Spider-Man. Silk, one of the more unusual Sony projects, is inspired by a relatively recent addition to the Spider-Man family. Created by Dan Slott in 2014, Silk’s origin is the story of Cindy Moon, another teenager bitten by the same fateful radioactive spider that bit Peter Parker. Her presence risked drawing the attention of the inter-dimensional beings known as the Inheritors (something we’ll probably learn about in the animated film Into the Spider-Verse) and as a result, she was secreted away for years. The character is a relatively popular one, albeit still lesser-known than the top-tier Spidey characters. Amy Pascal, the former head of Sony Pictures, is reportedly the producer attached to this project. The first of Sony’s ideas to be canceled would have put Black Cat and Silver Sable into a team-up film called Silver & Black. The two characters have no history together; about the only thing they have in common is a penchant for wearing catsuits. Gina Prince-Bythewood was recruited to direct Silver & Black, but she was unhappy with the script. According to the latest reports, Sony has dropped Silver & Black completely. But Black Cat and Silver Sable are still alive at Sony, as the studio is now working on solo films for each character. It’s believed that Prince-Bythewood remains attached to both as producer. Nightwatch doesn’t even have the name-recognition of Sony’s other Spider-villains. Created by Terry Kavanagh, Alex Saviuk, and Joe Rubinstein back in 1993, Nightwatch is Dr. Kevin Trench, a scientist who witnessed the death of a costumed vigilante who used “cloaking” technology. When Trench investigated and removed the man’s mask, he was shocked to realize he was looking at his future self. Trench wound up donning the outfit in a desperate attempt to rewrite history but became trapped in a time loop. The hero’s brief run ended in 1995 when he traveled back in time and apparently closed the loop. There have been repeated reports that Sony is working on a Nightwatch movie. The Jackpot film is another surprising choice. Created by Dan Slott and Phil Jimenez, Jackpot was essentially something of a joke at readers’ expense. The long-time on-again, off-again couple of Spider-Man and Mary Jane had just broken up in the history-rewriting “One More Day” plot. Then Marvel introduced Jackpot, a redhead named in honor of a famous line of MJ dialogue: “face it Tiger, you just hit the jackpot.” Many readers assumed MJ had become a superhero. In the end, Jackpot was revealed as a scientist exposed to chemicals while working at a subsidiary of Oscorp. Two different women have taken up the Jackpot identity, one of whom died as a result of exposure to illegal drugs. Jackpot hasn’t even featured in the comics since 2010, so Sony’s interest is unusual. Right now, Sony may just be toying with different ideas. Only one thing seems certain: Venom looks likely to be a hit. If so, that would give these Spider-Man spinoffs a strong sense of momentum. Furthermore, we don’t know whether or not these spinoffs will ultimately be considered part of the wider MCU, in a manner akin to the Marvel TV shows. Right now they seem to be an entirely separate project. That means we could be at the birth of a whole new superhero (or antihero) universe. 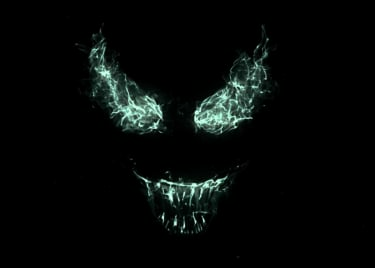 Venom creeps into theaters on October 5.